The fire at 35 William St. was reported just before 11:30 a.m. Friday, and has reached four alarms. The flames were spreading through the roofs of attached buildings, which were evacuated. 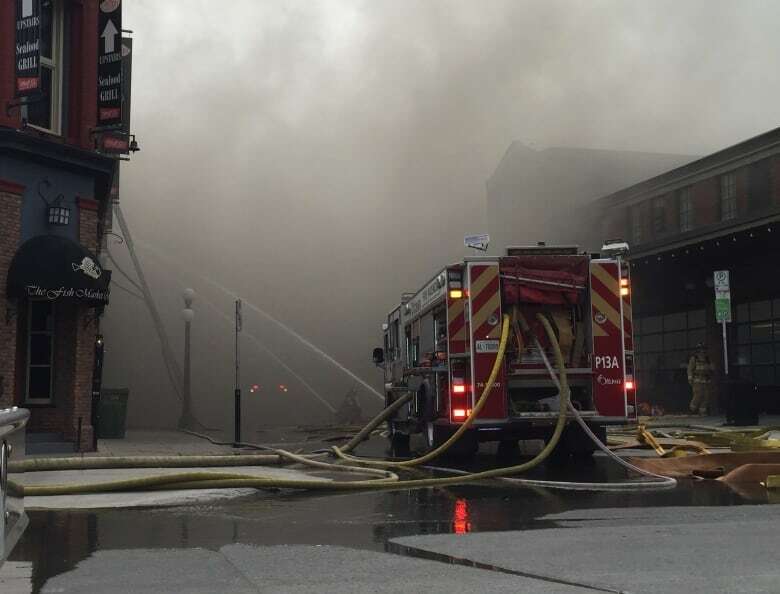 By 1:50 p.m., firefighters were allowed to head back inside the affected buildings on William Street. It’s unclear how many buildings have been affected. Motorists and pedestrians are being asked to avoid the market area.